Hello Kitty has been an iconic figure all over the world originated from Japan but did you know that she isn’t a cat but in fact a human! 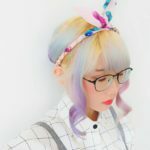 Don’t be deceived by her name “kitty” and overall design, over the years Hello Kitty has collaborated with many renown brands spreading growth opportunities and also touching the hearts of everyone out there. 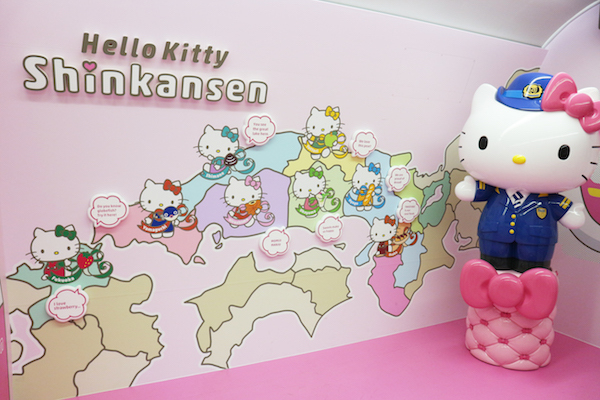 Towards end of June 2018 JR West Railway company officially launched the Hello Kitty Bullet Train (shinkansen) to replace the long serving Evangelion shinkansen who’s route travels between Kansai, Chūgoku & Kyushu region covering prefectures like Osaka, Hiroshima, Okayama, Shimane, Tottori, Yamaguchi and Fukuoka. There are JR passes that also covers these specific areas allowing you to ride the Hello Kitty Shinkansen and save a lot while you discover more of Japan has to offer. 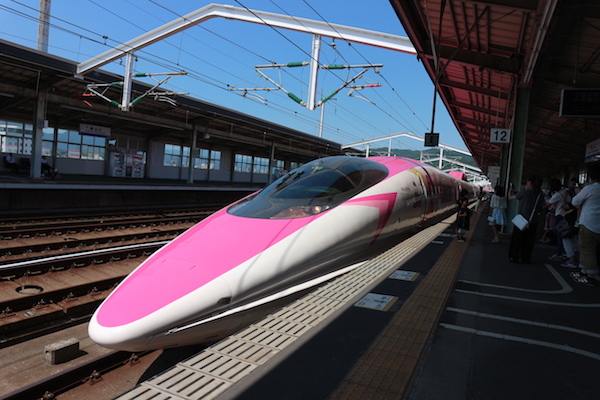 Though the schedule for this particular cute pink shinkansen is rather limited daily, one can always catch her in advance by booking a seat at the nearest main JR station. Even those visiting Kyoto may book their tickets at Kyoto station but board the hello kitty shinkansen at Shin Osaka (starting point). Inside this bullet train is something not to be missed because everything looks like it’s been plucked out of the Sanrio world, each section has their own unique design and the front most section of the train where the “Hello! Plaza” is located, customers can take tons of memorable photos with their cute backdrops, shop for food and official limited edition souvenirs. The Hello! Plaza may get rather crowded especially when it stops at major stations. If you are a huge Hello Kitty fan, you definitely wouldn’t want to miss this once in a life time opportunity to ride your favourite character themed shinkansen. For now, there is no determined campaign timeframe for the Hello Kitty shinkansen operations as the schedule on their official website will be updated again in December 2018. 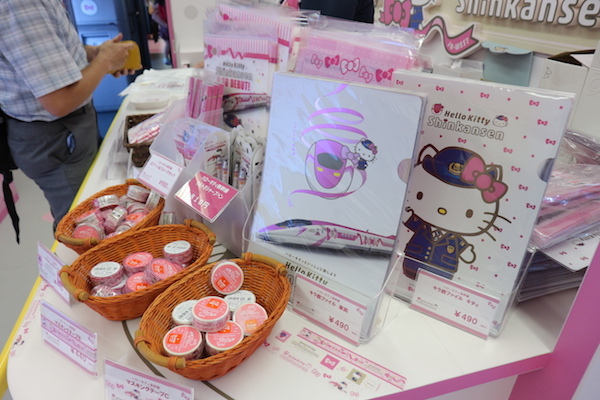 For those stopping at the last station in Hakata, Fukuoka do take some time to explore the station as you’ll be greeted with a Hello Kitty themed café and a souvenir store specially dedicated to all things Hello Kitty (more variety than on board the shinkansen).